Anyone affected by a Mirena device is urged to learn about their legal rights to file a claim. Due to the specialized nature of medical device injury cases, the Drug Risk Resource Center only recommends lawyers who are already handling Mirena lawsuits. DrugRisk seeks to improve patient safety through education of the latest drug warnings, recalls, studies and litigation. “In the case of Mirena, patients suffering side effects may not know that others have shared similar experiences and that many have now filed claims for their injuries,” explains DrugRisk representative Ryan Mayer. According to the Adverse Events Report on December 18th, the FDA has disclosed receiving over 45,000 AERS reports of women suffering complications while using the Mirena IUD. 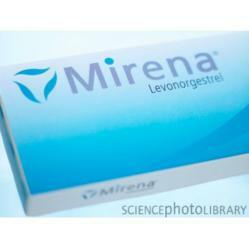 Most often, the Mirena side effects reported were device expulsion, device dislocation and vaginal hemorrhage. In more than 6% of cases, patients required hospitalization or surgery.